To celebrate this occasion, I’ll be writing a series of posts on how to organize for emergencies. Not a fun topic, I know, but certainly a necessary one for all of us. If you haven’t personally been affected by some sort of emergency situation or natural disaster, I’m sure you know of someone who has. Just this past spring, my friends’ parents woke up at 7 a.m. to find their detached garage engulfed in flames. Within minutes, the fire had spread to the house and burned it down to the ground. They escaped with only their pajamas. They lost it all, including all of their family photographs and important documents. I’ve witnessed first-hand the challenges they’ve faced with insurance claims over the subsequent months. You see, they are among the 60% of homeowners who had no inventory of their possessions. I’ve also witnessed the frustration they’ve experienced as they’ve worked tirelessly to obtain new “original” copies of their birth certificates, social security cards, wills, etc. Earlier this year, I scanned and digitized all of my vital documents, in order to store copies of them in the cloud via SafelyFiled. There was still the matter of where to store the originals of these documents. For the past several years, the original copies of our wills, health care power of attorney, car titles, etc. were stored in a bank safe deposit box. The problem with that location is that it’s difficult to access documents in the event of an emergency, since banks are closed in the evenings, on weekends, and holidays. For that reason, we decided that securing the originals in a fireproof safe within our home was a better solution. Once I kicked into Emergency Preparedness Mode, the first order of business was to purchase a fireproof safe. 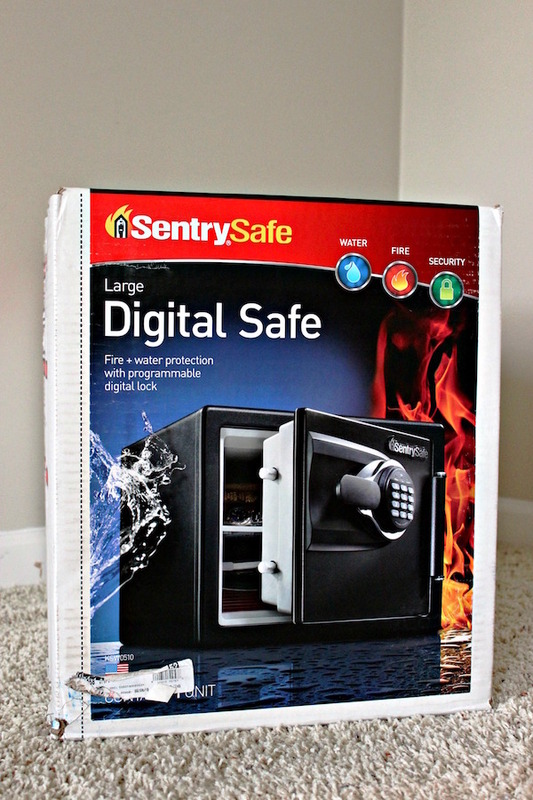 After doing a bit of research, I decided to purchase this Sentry Safe that came highly recommended by a few professional organizer colleagues. Think about who might need to access these documents in an emergency and be sure to communicate the necessary information to those people (i.e., where the safe key is kept or what the pass code is). Also, do yourself a favor and create an inventory of the safe contents to have on hand to refer to. It’s likely that you’ll forget all the documents you placed in there for safe keeping after a few years. 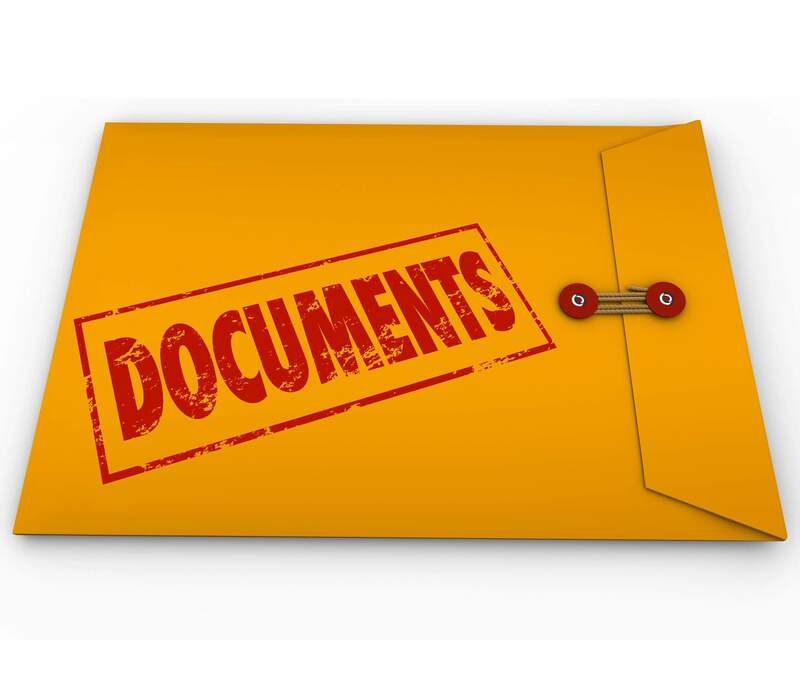 Where are your original vital documents stored? Would they survive a natural disaster? Are they easily accessible in an emergency? Make this the month that you bring the task of organizing and protecting your important papers to front burner. The peace of mind that comes with knowing you have all of your ducks in a row should the unthinkable occur is priceless. Natalie, Your article is so important for everyone to read and I must admit, I haven’t done all of those things either even though my mom has been through this! Her condo burned down four years ago and she had to be rescued from the 3rd floor by the firefighters. My mom did not have a home inventory and that was a problem with insurance. Also, she had a fire proof box but it wasn’t WATER proof so when they sprayed the condo, her place was blasted with water and the box leaked. It took me several days to pull each document piece by piece apart and lay them out on the ground to air dry. It was a very painstaking process. I think it’s wise to have copies of everything in a safe deposit box too. Great article and thanks for sharing! That is a harrowing story…so glad that your mother survived unscathed. Unfortunately, her story regarding the vital documents and lack of home inventory is all too common. I’m hoping that your story inspires others to take action. Thanks so much for your comment and for sharing your mother’s story!